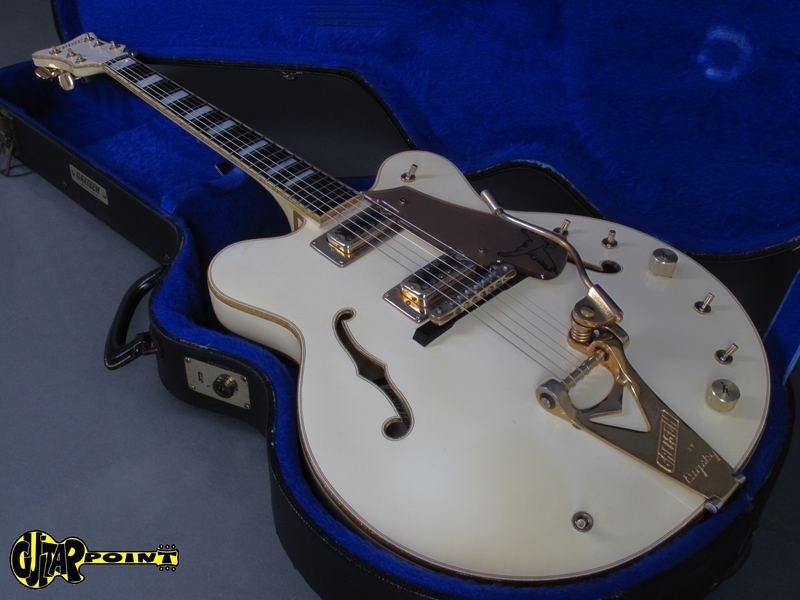 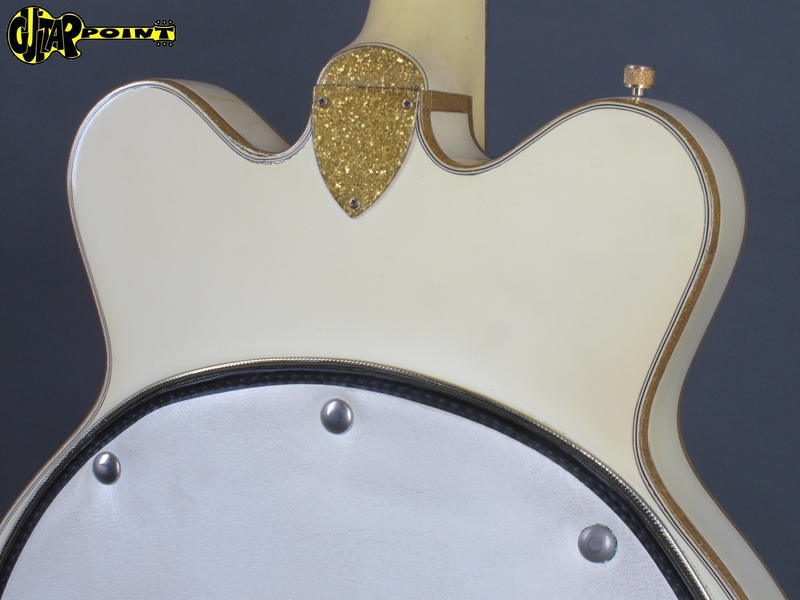 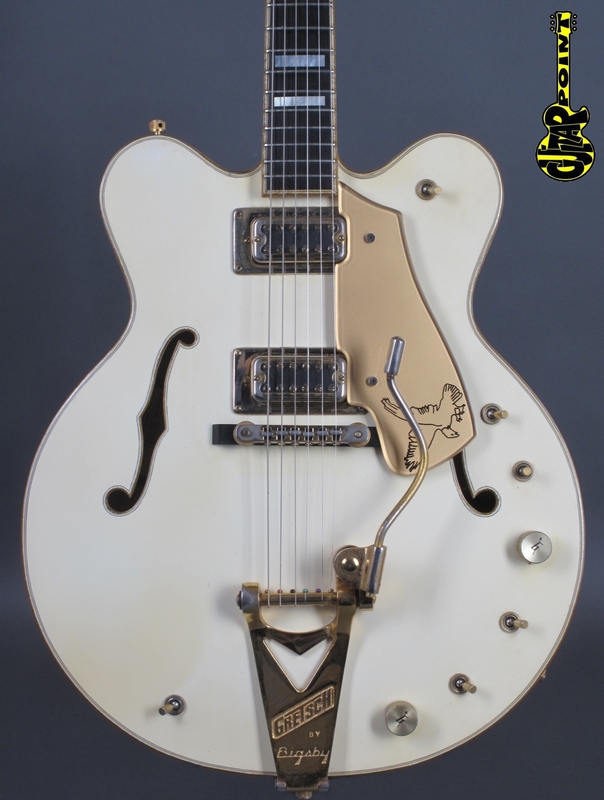 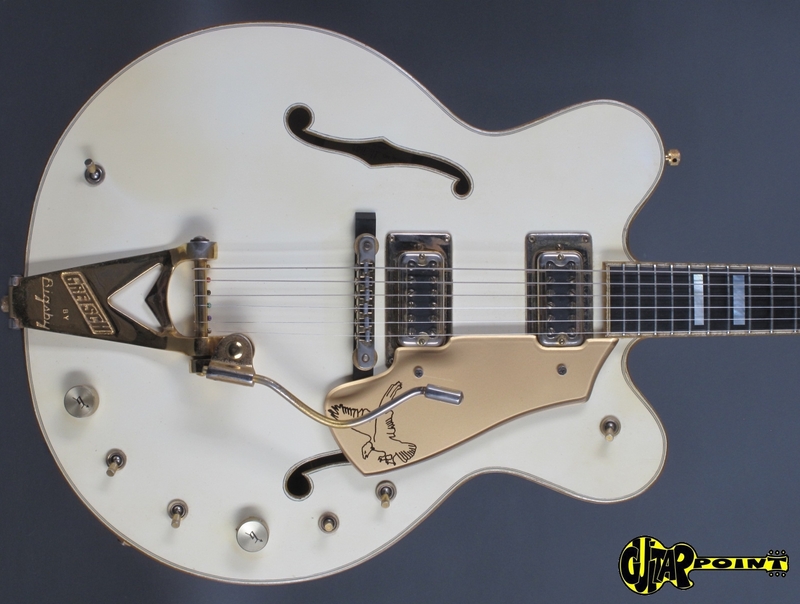 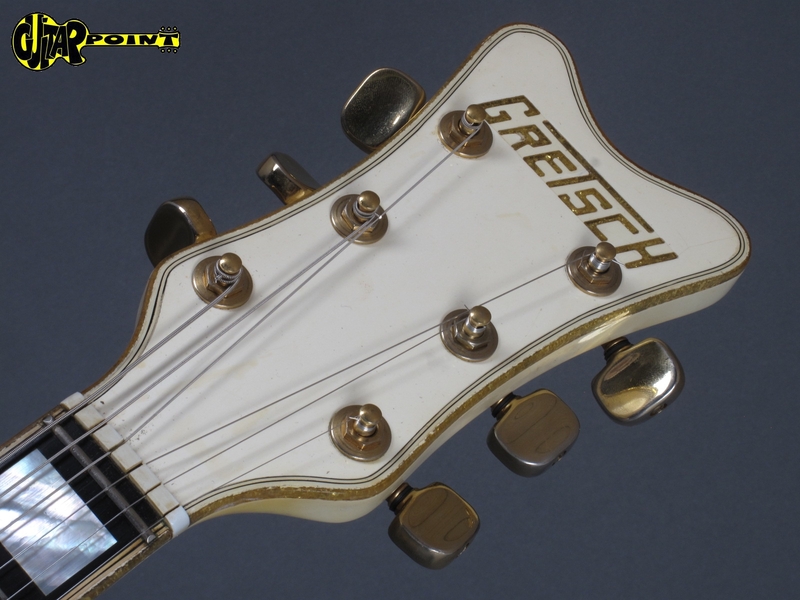 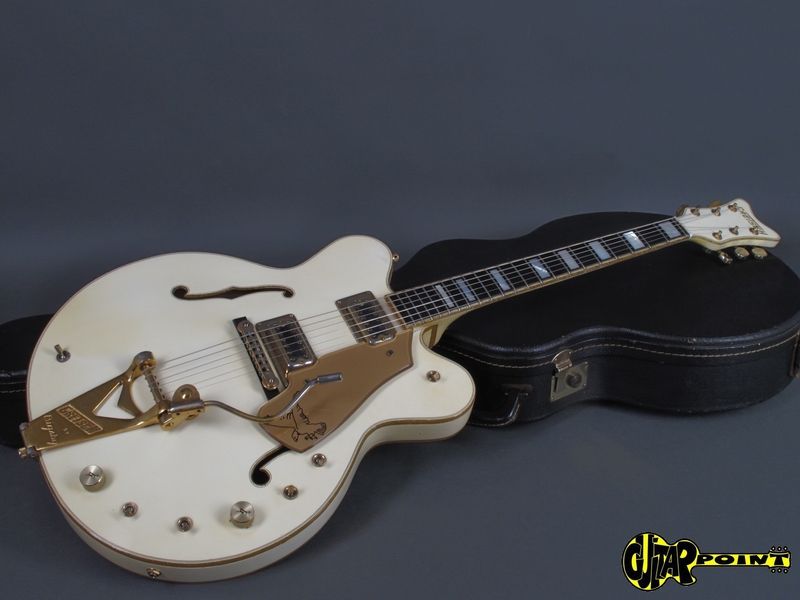 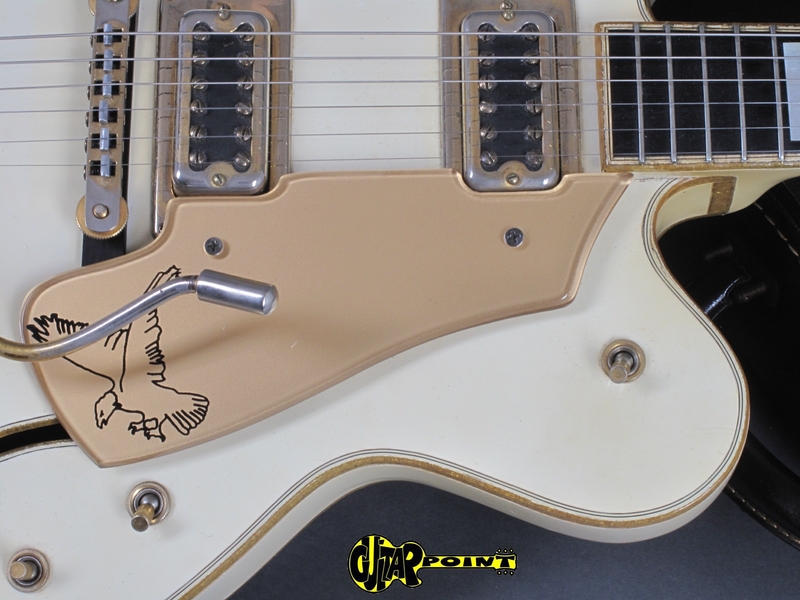 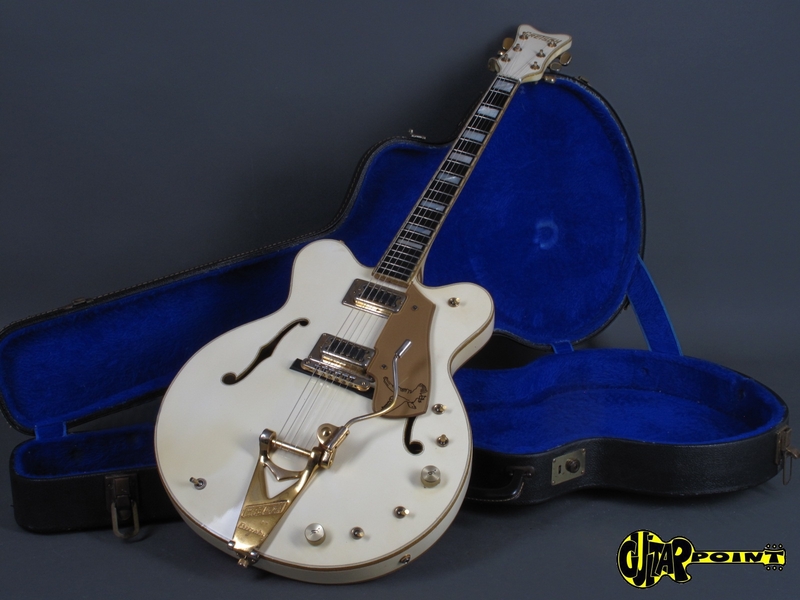 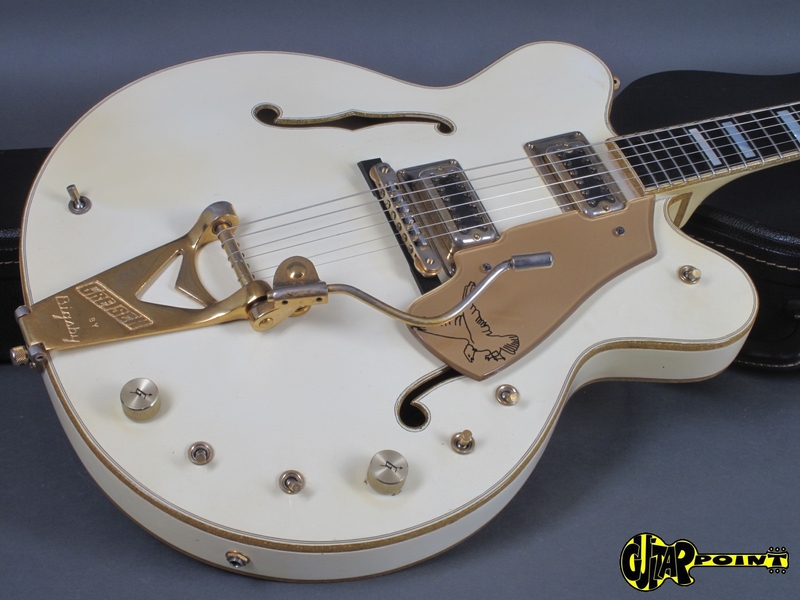 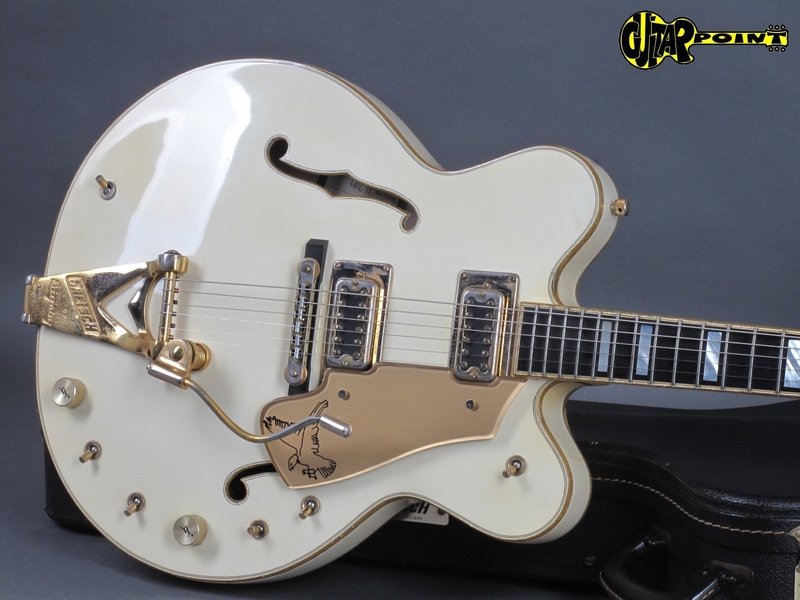 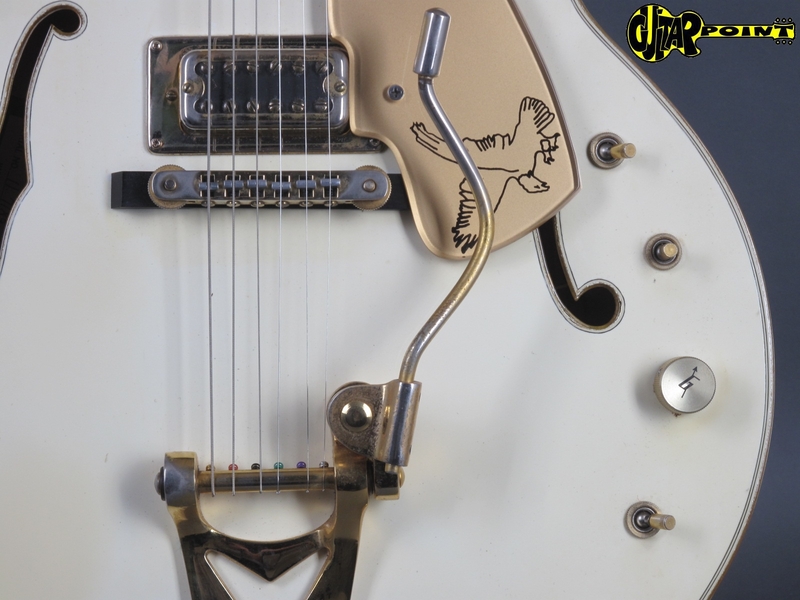 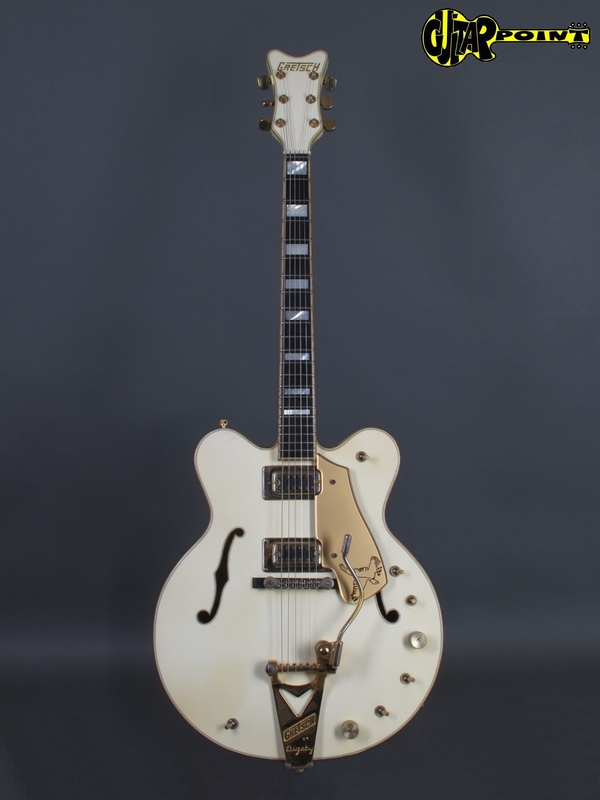 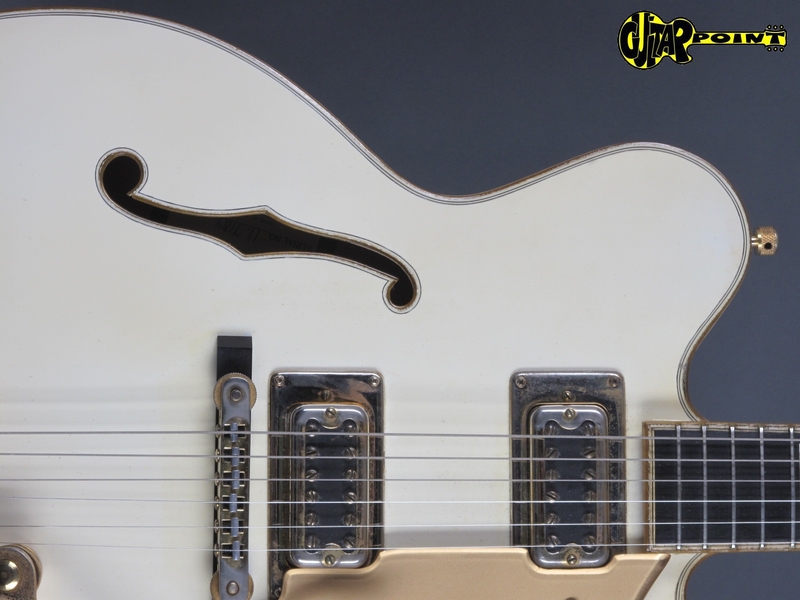 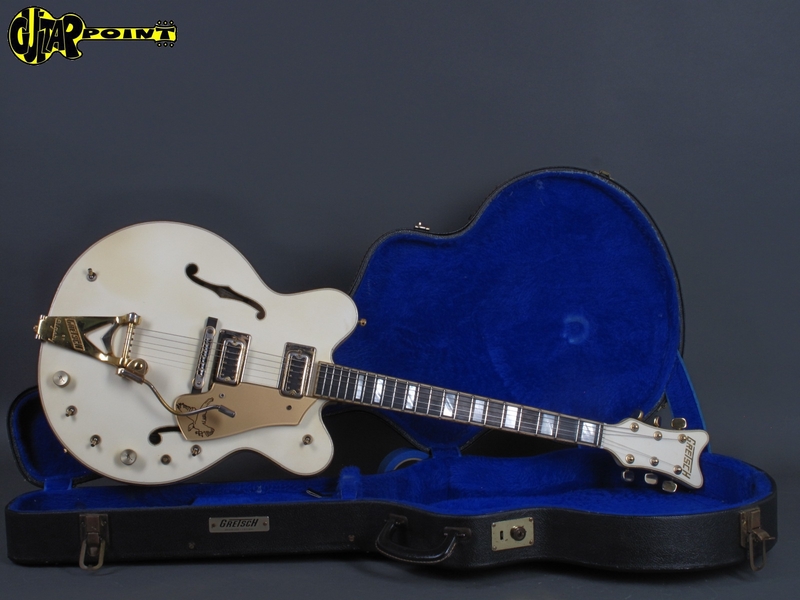 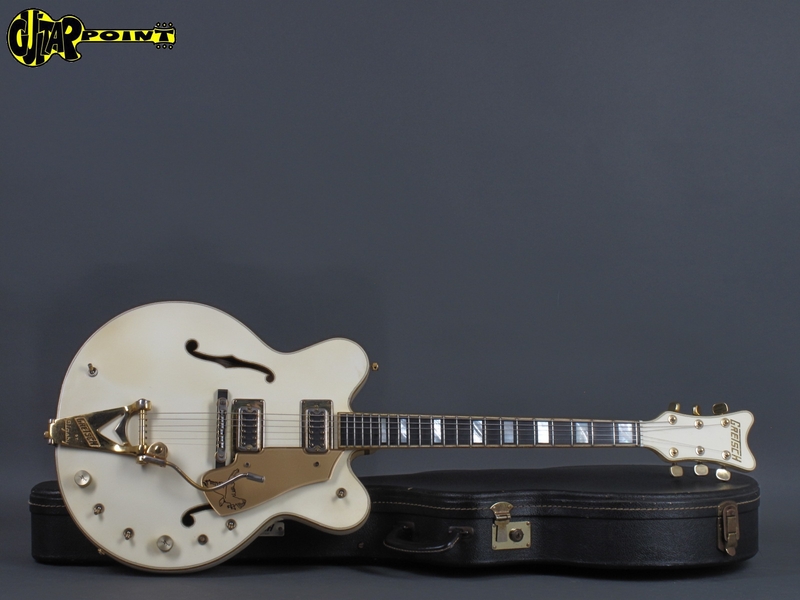 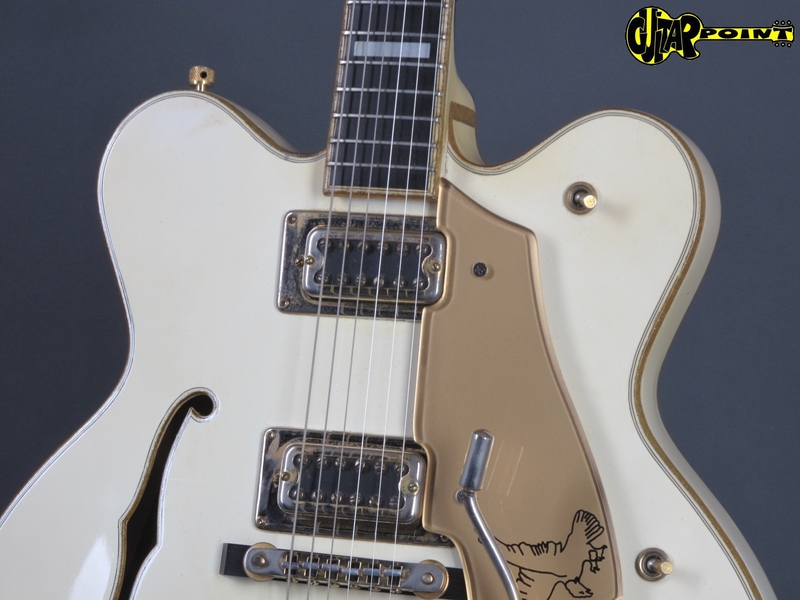 1977 Gretsch 7595 White Falcon - Stereo, last of the "Made in USA"models, in excellent condition for its age. 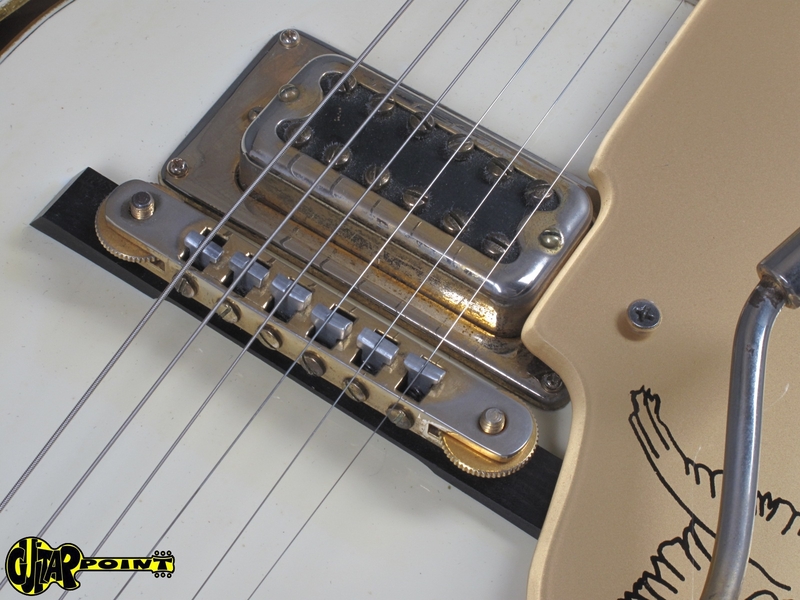 The guitar is all original incl. 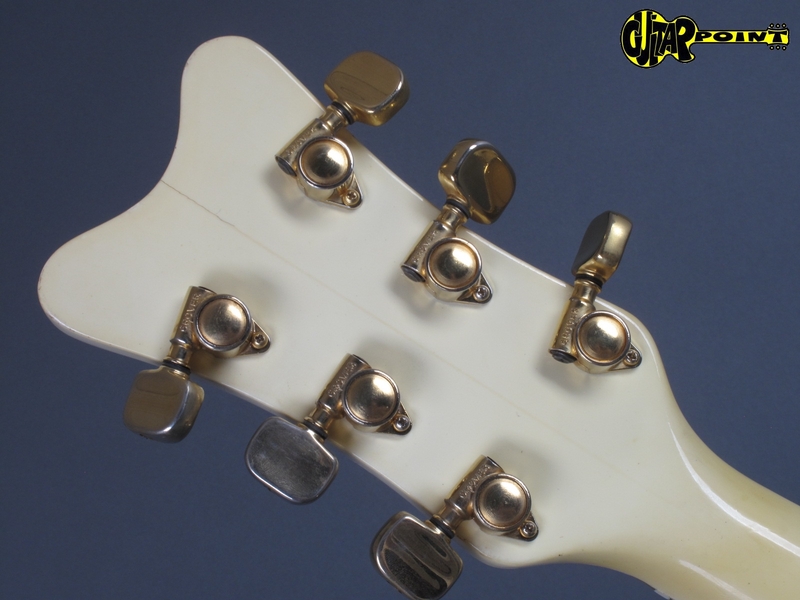 original frets which are still in perfect shape. 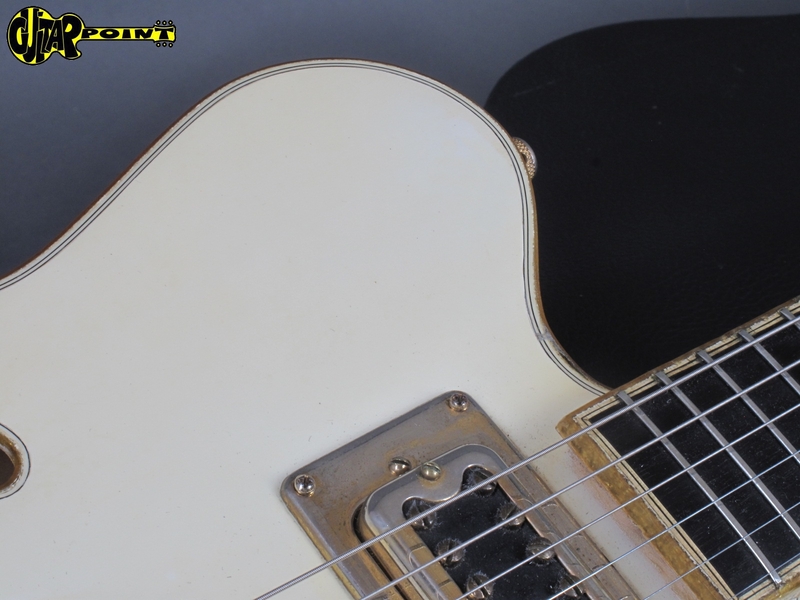 No dings or dongs, or weatherchecking, even the binding is in perfect shape, only some minor fading of the white finish, to a more yellowish color. 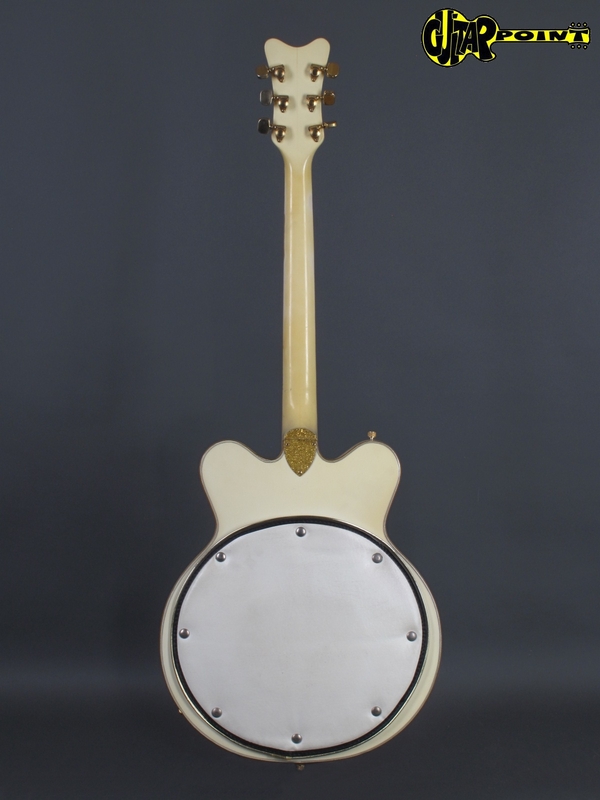 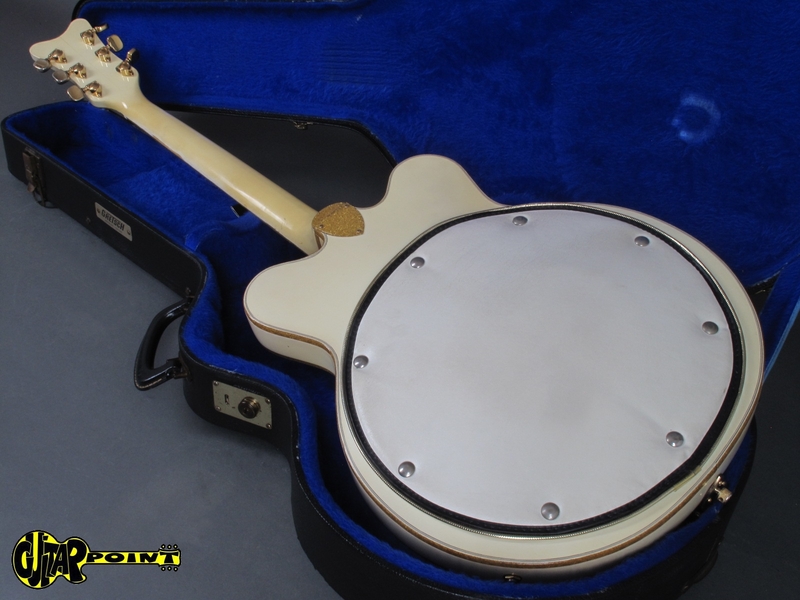 The medium-sized neck is comfortable to play, the two orig. 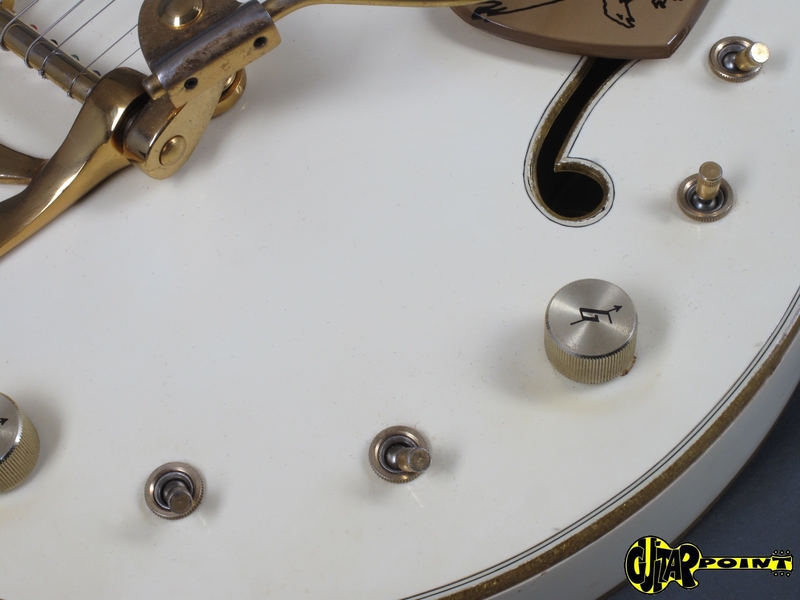 Filtertron PUs sound great, ..typical Gretsch! 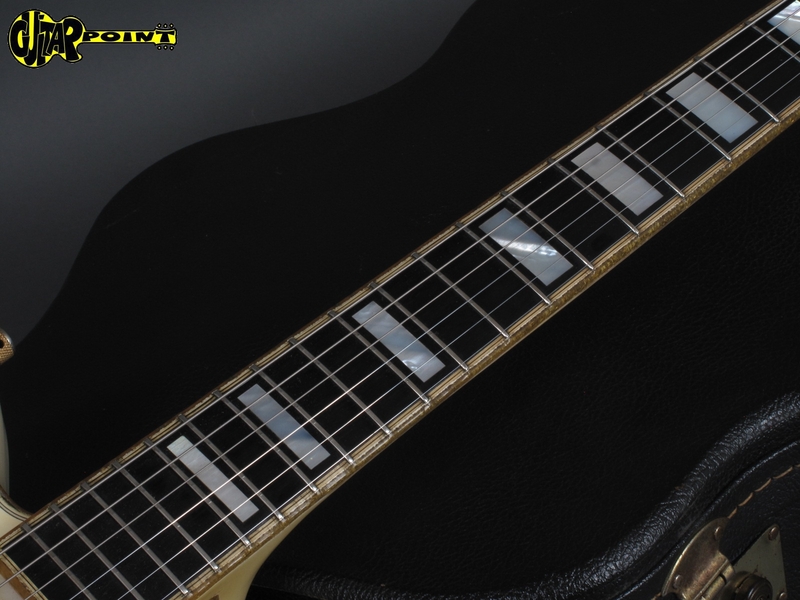 Comes in it´s orig. 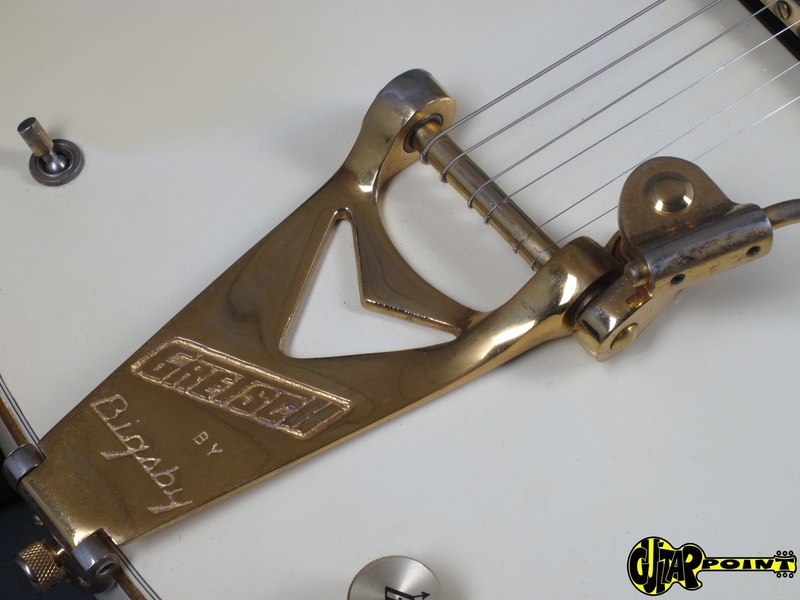 black Gretsch Hardshell case.